Successfully Added Blackview BV2000 4G Smartphone - Android 5.1, Quad Core CPU, 5 Inch 720P Display, Dual SIM, Smart Wake, Gesture Sensing (Blue) to your Shopping Cart. Geared to the more affordable end of the market the Blackview BV2000 is ideal for those on a budget, but with strong features like 4G and user friendly features it’s sure to a hit with everyone. A 5 inch 1280x720 resolution screen makes this Blackview BV2000 stand out against a sea of other affordable Smartphone and with 290PPI if offers great depth and detail bringing a visual feast as your movies, games and photos will be displayed beautifully. Beneath the winning screen is a MediaTek Quad Core CPU running at 1GHz and backed by 1GB of RAM and offering a Mali T720 GPU meaning is has a good gaming and movie playing potential as well as being up to everyday multitasking and usage. The 8GB of onboard storage is enough for the basic app set and can easily be expanded via the micro SD card allowing for 32GB of extra storage which will bring enough room for your music and media libraries as well as plenty of space for additional apps. The Blackview BV2000 comes with and Android 5.1 operating system and the user interface is enhanced by Smart Wake and Gesture Sensing which is a nice extra for an entry level devices and makes navigating to apps quick and effortless. There are even motion controls so you can answer the phone by lifting it to your ear and several other options to streamline the way you use and interact with your phone. With 4G connectivity you can enjoy download speeds equivalent to most broadband connections so steaming HD content to your phone has never been easier. 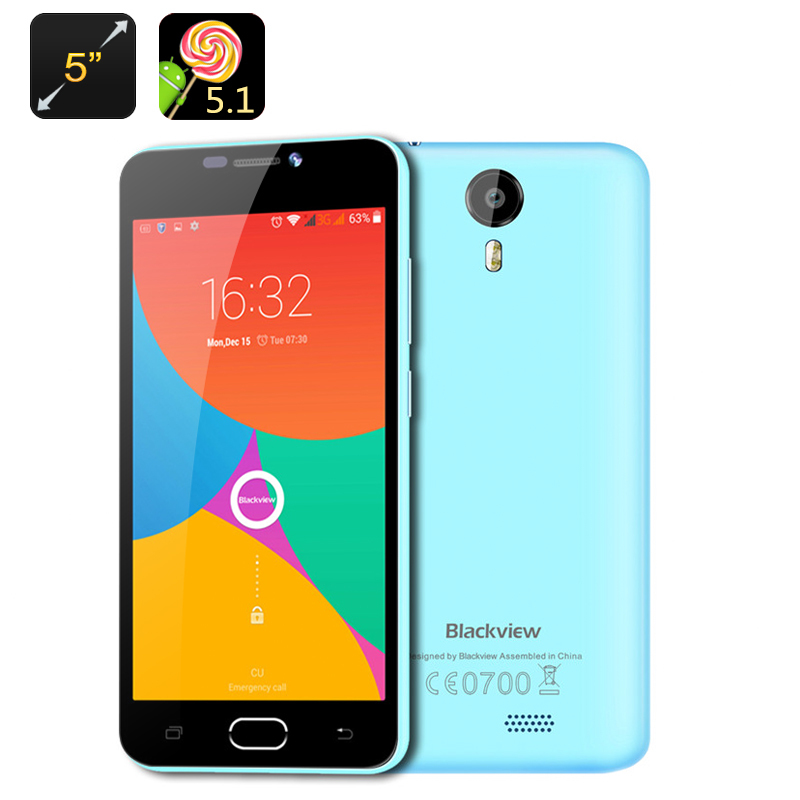 The Blackview BV2000 4G Smartphone comes with a 12 months warranty. Brought to you by the leader in electronic devices as well as wholesale Android Phones..